Emeritus Professor Shad Saleem Faruqi says the judicial power of the courts, eclipsed by an amendment to Article 121 in 1988, seems to have been restored. 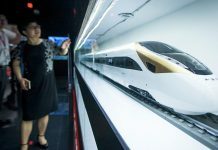 KUALA LUMPUR: The “judicial winter” that descended on the courts 30 years ago following the removal of three Supreme Court judges has not fully thawed, an academician said. 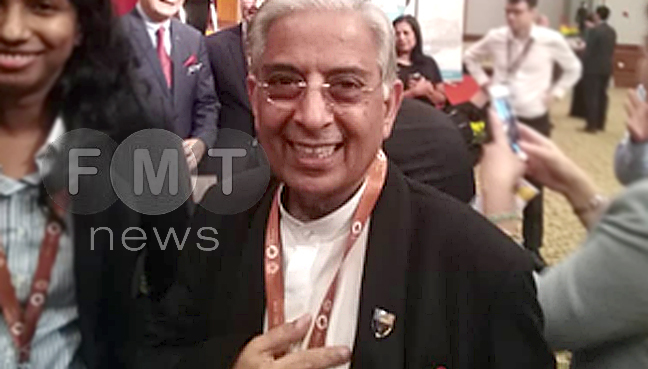 Emeritus Professor Shad Saleem Faruqi, who is the holder of the Tunku Abdul Rahman chair at the law faculty in Universiti Malaya, described the picture since then as mixed. “There are currents and cross-currents,” he said in delivering the 5th Raja Aziz Addruse memorial lecture titled “30th anniversary of the 1988 judicial crisis: Lessons about the importance of judicial independence and impartiality”. The lecture, in memory of Raja Aziz, a three-time Malaysian Bar president, is held in conjunction with the International Malaysia Law Conference. Raja Aziz was also the lead counsel who represented Salleh Abas, former lord president of the Supreme Court, after he was asked to appear before a tribunal for judicial misconduct. On the positive side, Shad said there was more judicial activism today than in the days of Salleh although it must be recorded that the Salleh court, though not Salleh himself, was the most activist constitutional court in Malaysian history. Shad said the basic structure doctrine that certain articles in the Federal Constitution could not be amended had been revived. “The judicial power of the courts, eclipsed by an amendment to Article 121 in 1988, seems to have been restored. “The review power of the civil courts over shariah courts has been asserted,” he added. Despite some flaws in the laws, he said judges were as free to walk the path of justice as their conviction beckons them to. However, Shad said not all was satisfactory on the judicial front. He also noted that the majority of superior court judges came from the judicial and legal service and not from the Bar. Shad said it was also unfortunate that former chief justice Raus Sharif and ex-Court of Appeal president Zulkefli Ahmad Makinudin remained in office despite reaching the mandatory retirement age. “So the two were at the extreme mercy of the executive,” he added. Both resigned last month after the Pakatan Harapan government was voted into power. Lawyers and academicians said the judicial crisis was related to a power struggle between two rival camps in Umno. It is said the bench, prior to the Umno tussle for leadership in 1987, was seen to be fiercely independent of the executive and the legislature. 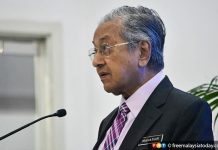 There were several court rulings that displeased the Barisan Nasional government, led by Prime Minister Dr Mahathir Mohamad, when he was in power for the first time between 1981 and 2003. Umno was split when then trade and industry minister Tengku Razaleigh Hamzah challenged Mahathir for the Umno presidency. Mahathir retained his position with a slim majority. Eleven Umno members, dissatisfied with the polls outcome, filed a legal challenge on the grounds that several delegates from unregistered branches had voted in the election. The High Court finally declared the party as an unlawful entity under the Societies Act. Mahathir is said to have made some disparaging remarks on the judiciary and this led Salleh and 20 other judges writing to the Malay Rulers expressing their grievances. As a result, Salleh was brought before a tribunal led by Salleh’s deputy, Hamid Omar. Salleh filed a suit in the High Court to challenge the constitutionality of the tribunal and in the meantime applied for an interim stay to stop the tribunal from submitting its recommendation to the king. Later, however, five Supreme Court Judges — Azmi Kamaruddin, Eusoffe Abdoolcader, Wan Hamzah Mohamed Salleh, Wan Suleiman Pawanteh and George Seah — convened and granted Salleh an interlocutory order against the tribunal. Soon after, the five judges were suspended. Two separate tribunals removed Salleh, Wan Sulaiman and Seah while the other three judges were reinstated. In 1988, Mahathir tabled a Bill in Parliament to amend Article 121 to remove “judicial power of the federation”, giving them only such powers as Parliament granted them. Hamid was later elevated to Lord President.